The Cygnus Aqua-Cleanse is a therapeutic instrument used for detoxifying the body and inducing energetic balance through an ionized water bath for the feet or hands. When used within a clinical health practice, the therapy will support all other holistic therapies used by your clients. It permits in-office treatments that require a minimum of time for the therapist and thus gives an excellent income stream. While 30 minute sessions are recommended, you can take advantage of the Cygnus technology if you have only ten minutes. Please note: The pictured product may not precisely represent the current product. We continually implement design improvements and modifications. 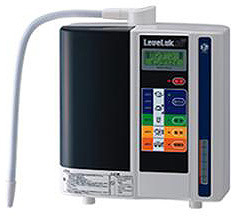 Kangen™ water is the ONLY water product or technology that has been officially approved for its health merits by the Japanese Ministry of Health and Welfare, which is equivalent to the FDA in the U.S. Enagic, the company that makes our Kangen™ water machines, is the ONLY company in the whole water industry whose products are endorsed by the Japanese Association of Preventative Medicine for Adult Disease as being the best and most reliable in its field. Together, it makes Enagic the ONLY company that is endorsed by both the Japanese government and the most respected doctors association in its field. 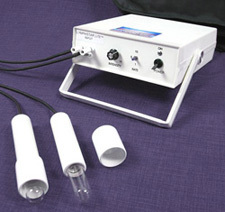 The Lymphstar Lite™ is our newest lymphatic drainage accelerator. It joins the acclaimed Lymphstar Pro® and our Lymphstar Pro Fusion™. These products are known around the world (USA & 17 other countries) as the finest electronic lymphatic therapy instruments available today! The Lymphstar Lite™ fills a need for a product that will allow more people to access and benefit from our outstanding technology. Home users, entry level therapists, and estheticians will find this an exciting option. 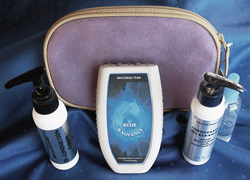 This package includes: two standard therapy heads, soft carry bag, two DVDs, and users manual. 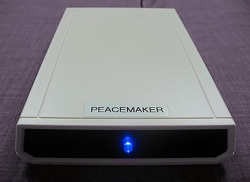 Costs were kept down by using a different casing and it is not upgradeable. We did NOT make a less effective product! Please call us for pricing. 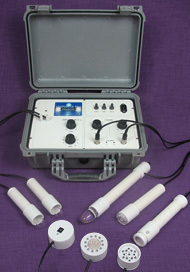 For more information on the benefits and technology of our vibrational instruments view the Lymphstar Pro® information. 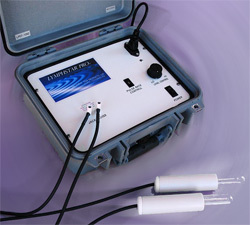 The Lymphstar Pro® is a therapeutic, vibrational instrument with a unique combination of energetic modalities. They are: 1) physical vibration with sonic, or acoustic, waves, 2) an electro-static field; and 3) electro-pressure created by the use of multiple treatment points. All of these emissions are extremely low in energy so they are gentle and safe. Subtle energies like these may be called "vibrational energy," as they are at a level more perceptible to the energy system, or bio-field, than more aggressive modalities used to treat the body. However, by their very nature, the lymphatic vessels tune into and respond beautifully to this kind of energy! We are confident you will find the Lymphstar Pro® to be an outstanding compliment to your practice. It is compatible and synergistic with all forms of naturopathic medicine, energy medicine techniques, and integrative medicine. TheLymphstar Pro® instrument has been fused with the ability to use 6 more modalities in the same compact system; added upgradeability for future innovations; technological improvements; and the most comprehensive lymphatic therapy & beauty system available today! This system is called the Lymphstar Pro Fusion® and the various modalities (available heads) are called the Fusion P.H.I.T.® modalities. So...there is the Lymphstar Lite, the Lymphstar Pro, and the Lymphstar Pro Fusion. If you already own a Lymphstar Pro and would like to use the Fusion P.H.I.T. modalities without getting another Lymphstar you can buy the Eclipse Fusion™. The Eclipse Fusion™ works with all the Fusion P.H.I.T.® modality heads. 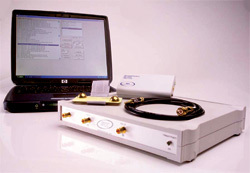 The Orion System is a computer system designed for Star Tech Health Services, LLC for the purpose of conducting professional Electro-Dermal Screening. Although it uses many traditional acupuncture points and Voll measurement points, CEDS screening is non-invasive. 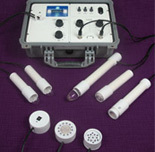 The Orion System utilizes pathometry-the measurement of disturbed electron flow inside the body. 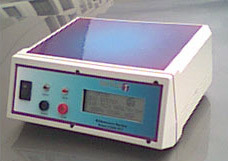 Measurements are primarily obtained at acupuncture sites on the hands and feet. The MCC works with the endogenous oscillations of the patient and provides the most personalized treatment possible. Two input ports capture the body's bioinformatic signals with special multilayer magnetic gold plated electrodes. Data received from both inputs contain the desynchronized and pathological signals from the affected part of the body. The MCC filters out all unnecessary oscillations except the biological window that needs to be addressed. 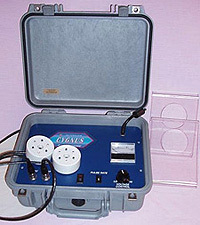 The output electrode feeds back specific signals to trigger regulative mechanisms within the body for proper corrections.